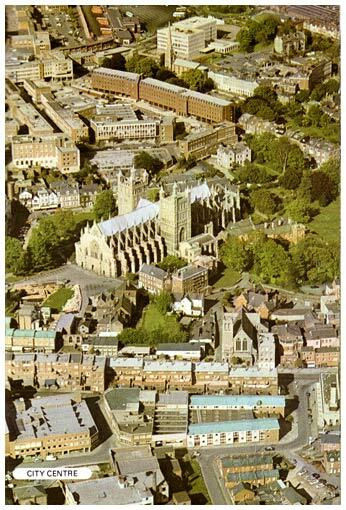 Exeter Memories - 1980's Exeter scrapbook. On 29th January 1983, HMS Exeter's crew was given the Freedom of the City. 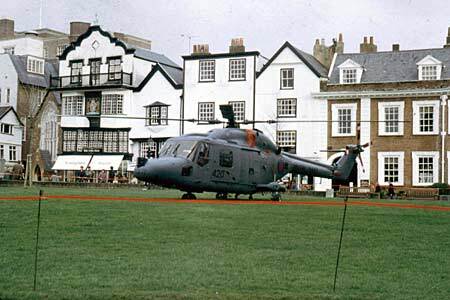 The ship's helicopter landed on Cathedral Green as part of the day's celebrations. 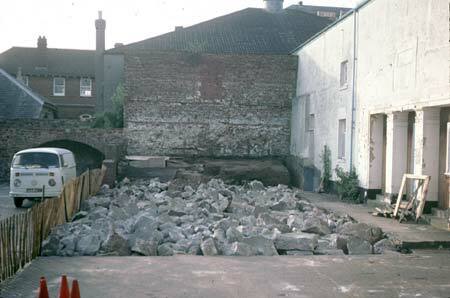 Wippell's, the ecclesiastical outfitters closed their shop in the High Street and Cathedral Yard in 1983. 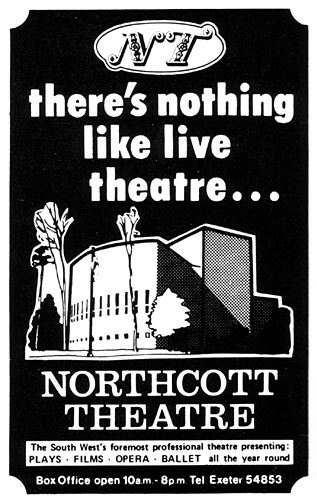 This was 100 years to the day after they opened. 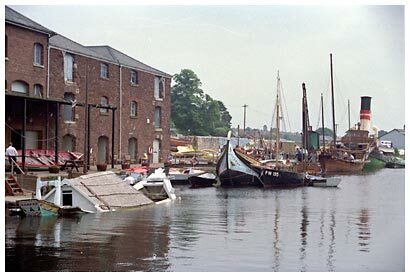 In 1989, the City Council acquired the Custom House on the quay when HM Customs and Excise moved out. 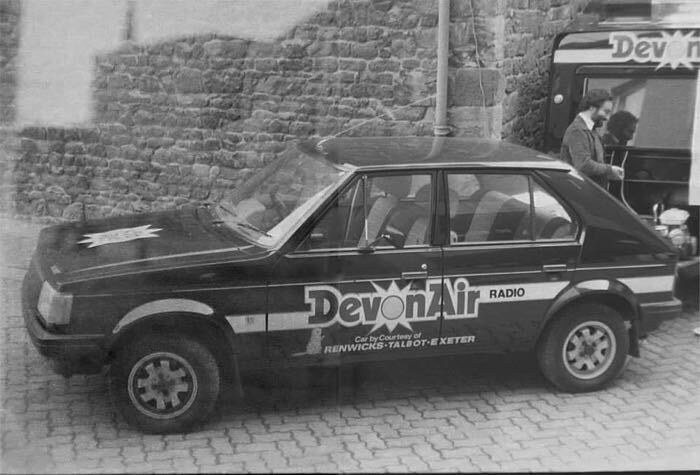 The radio station ran the DevonAir Motor Show at Powderham Castle in the summer of 1988. 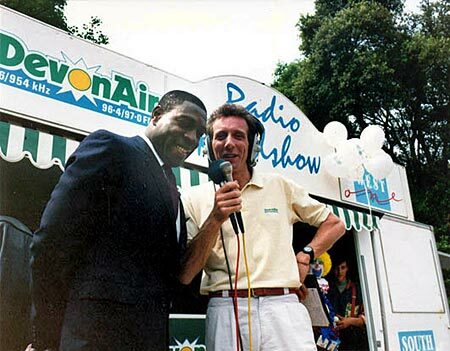 Their presenter, John Pierce, who interviewed the famous boxer at the event, has the distinction of presenting programs on both the opening day of DevonAir in December 1980 and BBC Radio Devon in January 1983. Photo John Pierce NEW Photo left shows the Renwicks sponsored DevonAir car. 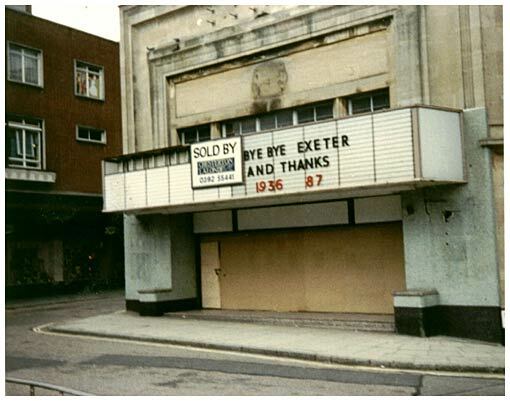 On the left is the sad, boarded-up ABC Cinema in October 1987 waiting for the bulldozers. 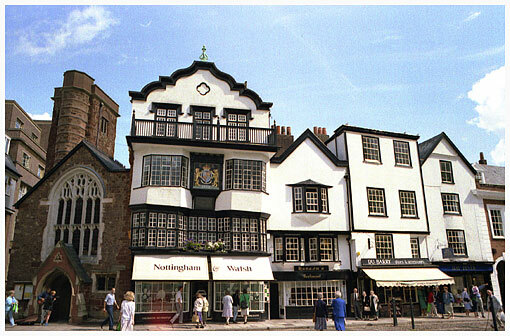 It was replaced by a branch of Dillon's bookshops, now Waterstones. 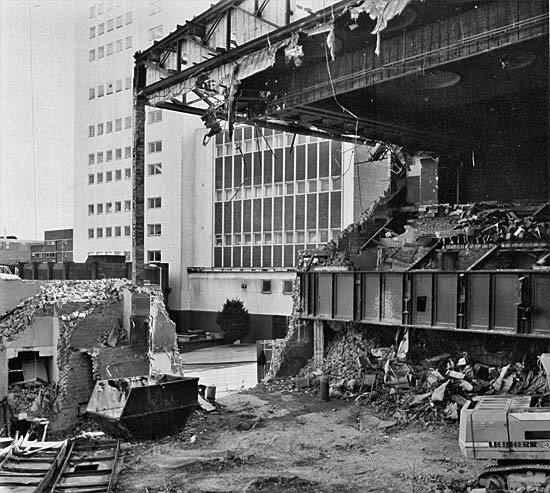 The photo on the right shows the half stage of demolition from the rear – the huge steel beam that held up the circle has been exposed. See ABC Cinema Photo left Clive Carmoc and right by John Waite. 11 MB WMV film - filmed by Jack Holman, this video shows the parade of Exeter's police, fire and ambulance service in front of Diana, Princess of Wales. Video of Diana's walkabout to appear soon. 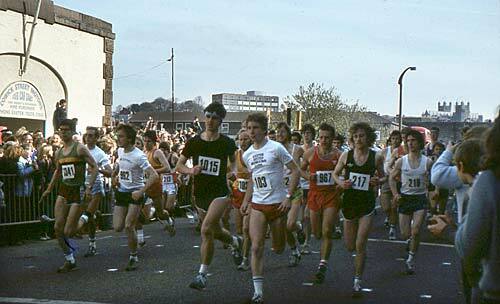 The start in Cowick Street of the first Exeter Marathon, in April 1982. 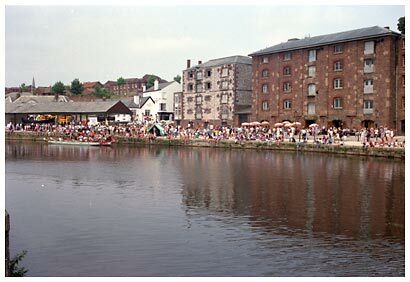 Flagged off by the Mayor Ivy Johns, 1,200 crossed over the Exe Bridges, before returning to finish in the County Ground, a distance of 26 miles. 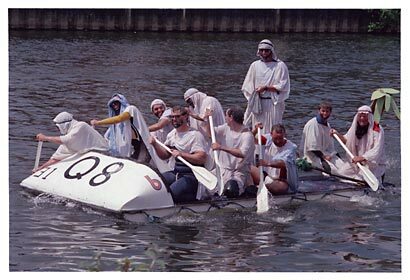 Eight-hundred and ninety completed the course within the time limit, including two wheel chair entrants, watched by 20,000 lining the streets. 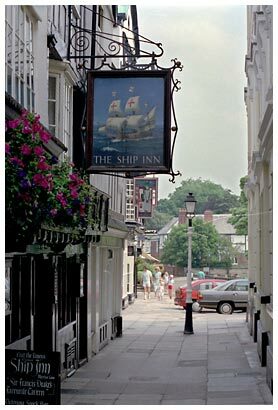 One runner had to have treatment for a gashed knee after clashing with a dog in Fore Street. 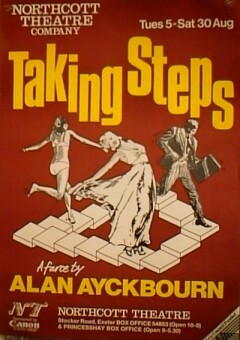 Photos courtesy of Tony Lethbridge. 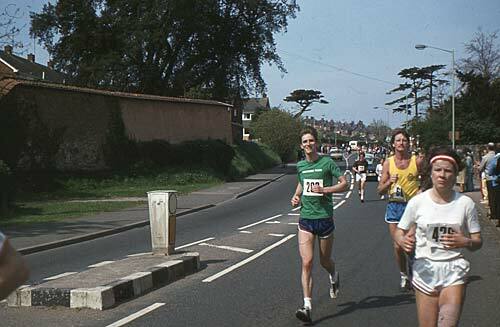 Left, the runners are heading towards Alphington, along Cowick Lane, and right, they are heading down the Alphington Road before crossing over the Exe Bridge. 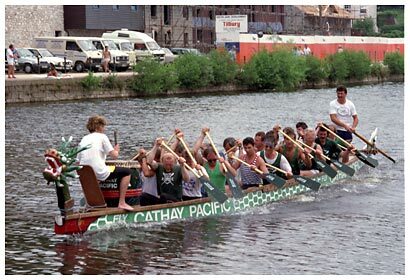 The winner was 29 year old Gordon Seward in 2hrs 31mins 50 secs. 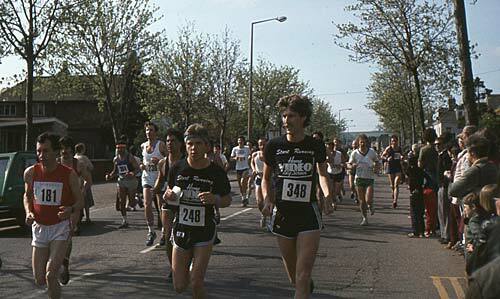 The first woman was Miss Angela Norris in 3hrs 28mins 47secs.Arthur Sundburg was the oldest to finish at 70 years old. 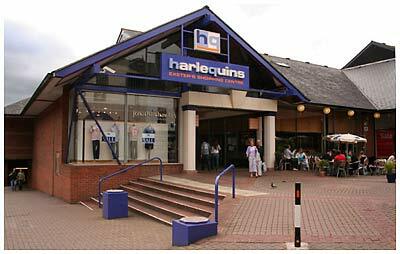 £20,000 was raised for the Special Baby Unit at Heavitree. 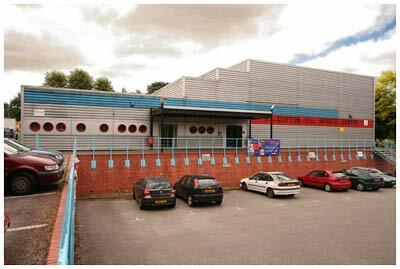 The £8 million Riverside Leisure Centre , was built in 1984 and opened by Diana, the Princess of Wales on Wednesday 2nd July 1986. The Princess pressed a button that turned on the pool area including the water flume. She also tried her hand at snooker. The Princess had lunch in the Guildhall and then watched a pageant depicting 150 years of the police service, march down the High Street. 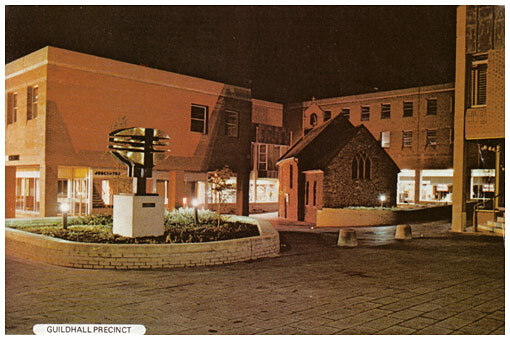 There was a vigil outside the ABC Cinema, at Eastgate, on the night of the 9th December 1980, by fans of John Lennon. He had been murdered the previous night in New York. 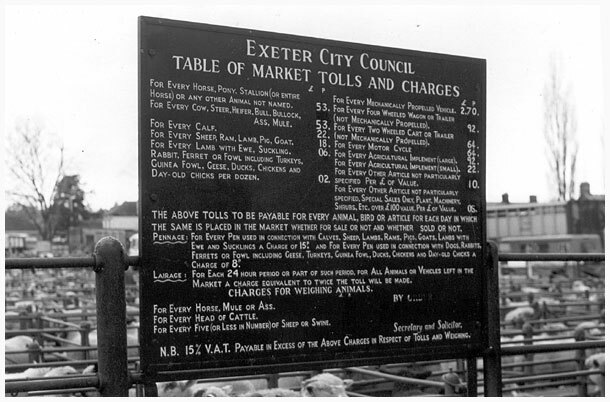 A new £3 million terminal and control tower at Exeter Airport was officially opened on 13th July 1981 by Sir Henry Marking. The last four-engined Lancaster bomber was given a major overhaul at a facility at Exeter Airport, during 1988. The aircraft is now part of the RAF's Battle of Britain Memorial flight. 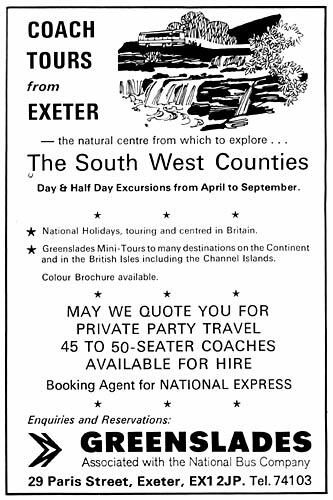 In 1985, Jersey European Airways, make Exeter Airport its operating, engineering and administrative headquarters. 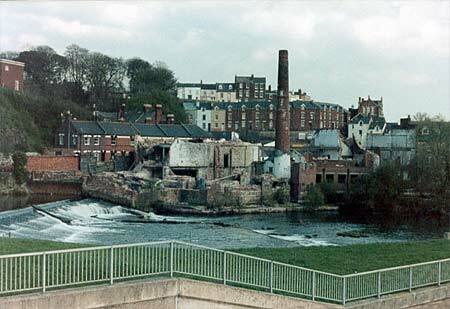 The airline is now called Flybe and still has Exeter as its base. In 1987 passenger traffic through the new terminal had grown by 40% since its opening. 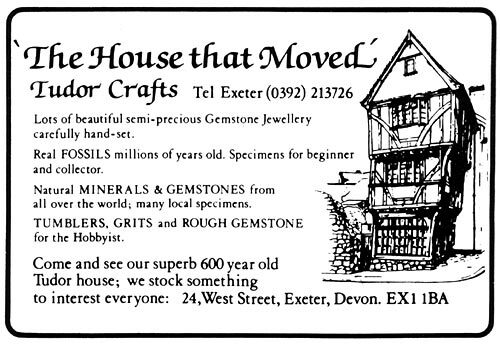 During the 1980s, the House that Moved is used to promote a business that sells gem stones and fossils. 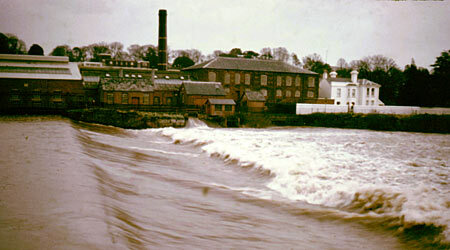 At the present (2006) the premises are used for a wedding dress business. 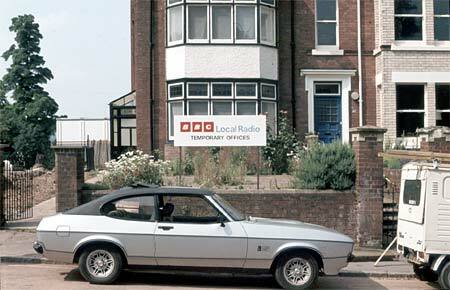 Greenslades have joined up with the National Bus Company by 1981. 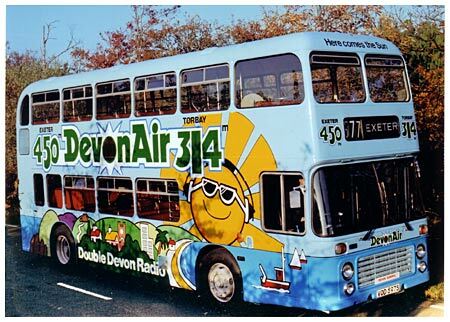 They offer short excursions through Devon and Cornwall for visitors who do not have their own transport.